Some players ease their way into playing with the best. Andrew Sicinski isn’t one of those players. And it made him a much better catcher. 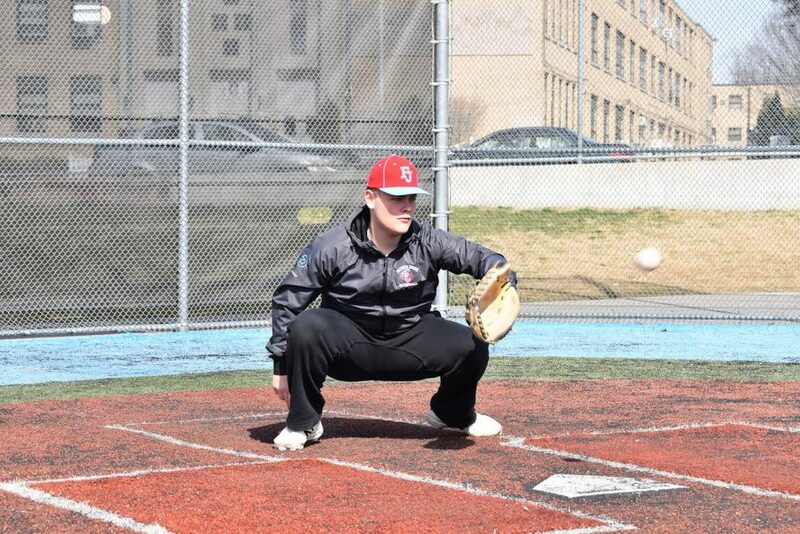 Sicinski is a senior on the Father Judge High School baseball team, but before he became a varsity starter as a sophomore, he had a chance to help out some well-known pitchers. 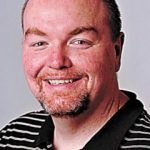 “I worked out at Sluggersville with Chuck Bushbeck and he would call me when he wanted to work out pitchers,” Sicinski said. “I caught great ones. They brought in Steve Phillips, who was drafted out of high school by the Texas Rangers. He would top out at 97 (miles per hour). Dan Hammer, too. He would hit 90 to 92. Sicinski is now ready to catch for the Crusaders in his final year of high school baseball. And while he might not be catching many 90-mile-an-hour fastballs from his teammates, he has high hopes for this year. Especially after how his junior season ended. Judge made the playoffs last year and in the quarterfinals knocked off defending Catholic League champion Neumann-Goretti in come-from-behind fashion. The Crusaders are one of many teams that have a chance to celebrate when the weather turns warmer. Losing Kelley, the Catholic League Most Valuable Player, is a big loss both at first base and on the mound. But while Kelley is at La Salle University, the Crusaders will look to win a championship. They have the right leader, and he thinks they have the right mix of players to do just that. Then he thought about the pitching staff. 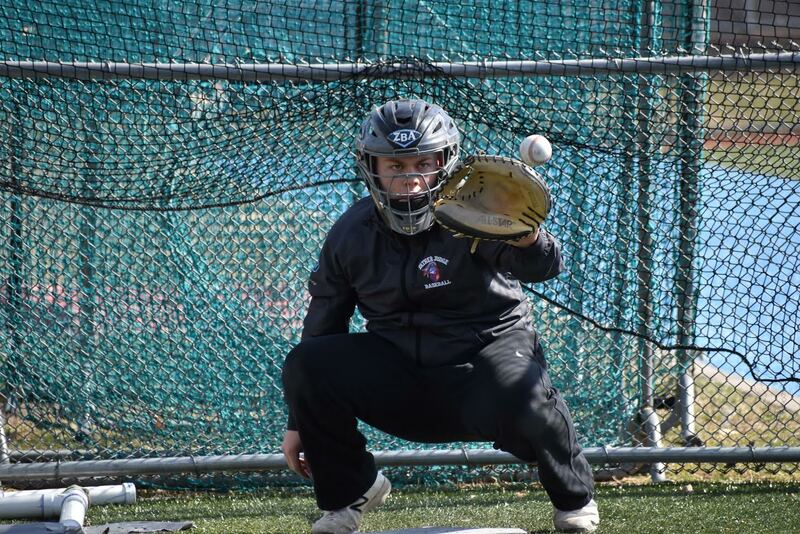 The Crusaders have inexperienced hurlers, for the most part, but take it from someone who has caught some good ones, the young guys have good arms. Sicinski really wants to leave Judge with a championship. But he knows he’ll have more chances to win baseball titles in college. Next year, he is earmarked to attend University or Maryland-Baltimore County, where he will continue his baseball career. While he is unsure about what he will major in, he’s considering criminal justice and/or business. And it’s not just because he likes the position. The catcher is the team leader, and Sicinski is now the man at Judge. Last year, he was one of four captains on the team, but he is the only one who returns to the mix this year. Though he knew how to be a leader from his days playing catcher, he learned a lot last year playing with an experienced group. He expects that same attitude to carry over to this year. It’s a new group, a younger group, but the chemistry is once again very good.